جارٍ تحويلك إلى مشاهدة سطح المكتب. The 500 km "Route of Democracy" lets visitors explore the historic roots of today's German government and the liberation movement from the time of the French Revolution to the age of Metternich up to the present day. It runs through southwest Germany from Frankfurt am Main to Lörrach in the Basel region. Since its birth in 1848/49, the path of democracy in Germany has been far from easy. The "Route of Democracy" is not a reference to specific individual locations, but rather to the birthplace of German democracy as a whole. Here in the southwest, democracy only began with the adoption of the Constitution of the Federal Republic of Germany in the 20th century. The path of the first German democrats was full of obstacles, division and bitter moments as well as liberating ones. The Hambach Festival in May 1832, to which many women were also invited, the Baden Constitution, the National Assembly in St. Paul's Church in Frankfurt, the former Dalberg Court in Mainz, the scene of a treason trial in 1850: all these and many others are sites that commemorate the sacrifices made by "the friends of the constitution", Friedrich Hecker, Gustav Struve, Karl Drais, Franz Sigel, Philipp J. Siebenpfeiffer and supporters of German democracy. Travellers along the "Route of Democracy" will set out on a journey to the birthplace of German democracy and will discover exciting episodes in history, engaging personalities and magnificent sites long the way. They will also hear sensational stories and revolutionary songs, and will learn something about Germany, democracy and the arduous road to freedom. Fine wines, drinkable beers and delicious regional specialties are not to be missed, so much so that even revolutionaries partook of them themselves at one time. And as is still the case for people now, the pubs and inns were their favourite haunts. The Städel Museum in Frankfurt, also known as the Städel Institute of Art and Municipal Gallery, is one of the leading art museums in Germany. It was founded in 1816 by the great patron of the arts from Frankfurt Johann Friedrich Städel and the collection has been housed in its current location since 1878. The Städel Museum is one of the main attractions along Frankfurt's 'museum embankment'. The breadth and wealth of museums and galleries overlooking the banks of the Main here are unique in Germany. With over 2,900 paintings and around 100,000 drawings and prints, the collection gives a comprehensive insight into more than 700 years of European art history – from the Middle Ages, the Renaissance, the baroque era and Classical Modernism right through to the present day. Among the highlights are works by Lucas Cranach, Albrecht Dürer, Sandro Botticelli, Rembrandt, Jan Vermeer, Claude Monet, Pablo Picasso, Ernst Ludwig Kirchner and Max Beckmann. The collection also includes works by prominent post-1945 artists such as Francis Bacon, Georg Baselitz, Jörg Immendorff, Martin Kippenberger, Anselm Kiefer, Gerhard Richter and Sigmar Polke. Worthy of special mention are Andy Warhol's screen-print series 'Goethe', a donation by the artist to the Städel Museum, and 'Goethe in the Campagna' by Johann Heinrich Wilhelm Tischbein. Since 1976 the fascinating sculpture garden has displayed mainly contemporary works, including pieces by Joseph Beuys, Ulrich Rückriem, Richard Serra, Anthony Caro, George Rickey and David Smith. جميع البيانات الخاصة بالأسعار والمواعيد ومواعيد الفتح غير مؤكدة. The Schirn building itself is a bit like a modern art work in the heart of Frankfurt's old quarter, a light, angular design contrasting with the grand, red sandstone cathedral and the Römer, the old town hall. This art gallery lies in the heart of the city – and is an important focal point in Frankfurt's cultural life. 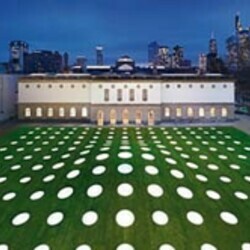 It is also one of the most celebrated galleries in Germany and in Europe. Schirn is the Hessian word for a structure such as a hut or a shed, but this belies its significance in the world of art. Since opening in 1986, the Schirn has staged some 200 exhibitions. It has no collection of its own but organises temporary exhibitions and projects on selected themes or the work of individual artists. The themed exhibitions have made most notable contribution to the gallery's international reputation, for instance Viennese art nouveau, Expressionism, Dadaism and Surrealism, the history of photography and subjects such as 'shopping – art and consumerism', and the visual art of the Stalin era. Major retrospectives have honoured artists such as Wassily Kandinsky, Marc Chagall, Alberto Giacometti, Frida Kahlo, Bill Viola, Arnold Schoenberg, Henri Matisse and Julian Schnabel. Taking a stance on topical themes and aspects of artistic creation can be said to be the Schirn's hallmark. It aims not only to engage visitors in a meaningful exhibition experience but also to encourage active participation in the cultural discussion. A week full of excitement at the Frankfurt Roßmarkt. 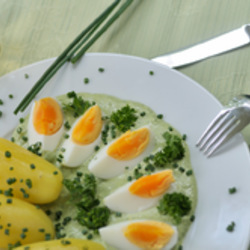 Every night starting on May 17, seven restaurateurs from Frankfurt and the Rhine-Main area will demonstrate their skills with their secret recipes.